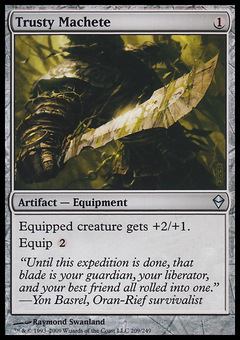 Kabira Evangel ($0.77) Price History from major stores - Zendikar - MTGPrice.com Values for Ebay, Amazon and hobby stores! 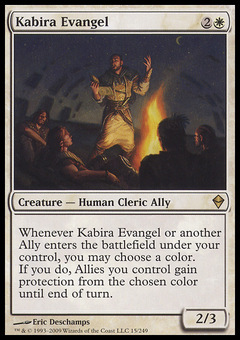 Card Text: Whenever Kabira Evangel or another Ally enters the battlefield under your control, you may choose a color. 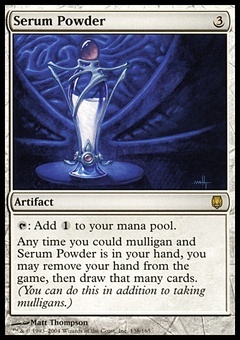 If you do, Allies you control gain protection from the chosen color until end of turn.